This comprehensive itinerary has it all. 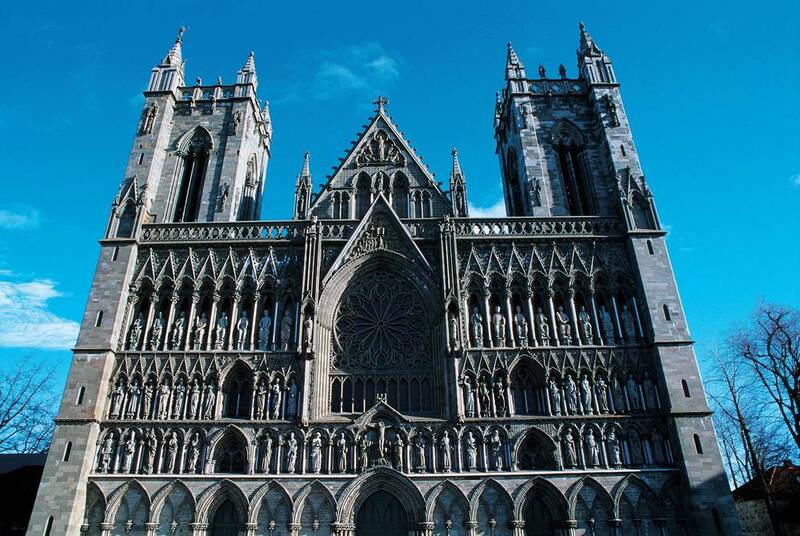 Starting with Trondheim’s Gothic beauty, you’ll board the Nordland ‘Polar Express’ Railway to sweep along the dramatic Norwegian fjords and cross over the Arctic Circle. Along the way, you’ll pause for a drive along the fabled Golden Road, a peninsular route that links local artisans with impossibly scenic drives. 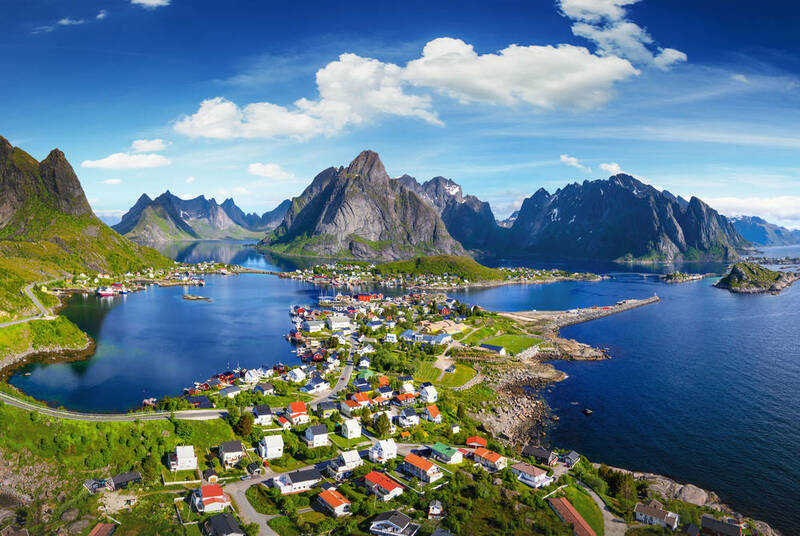 You'll then head to the mountainous spectacle of the Lofoten Islands where the Midnight Sun casts its glow over a soaring coastline peppered by secluded golden bays. Flying out to Trondheim you’ll make your way to your central accommodation, Trondheim’s finest contemporary hotel. Found right on the riverfront you’ll have all of the city’s delights on your doorstep, from the superb Ringve Music Museum to the Nidaros Cathedral – the Nordics’ largest church. To explore, we recommend making like a local and jumping on a bike or, for a truly unique perspective, take to the waters with a kayaking trip through the city. Whichever you choose, you’ll quickly lose yourself among the colourful houses and Gothic splendour of Trondheim’s thousand-year-old heritage. Stiftsgården is a particular highlight; it’s the King’s local residence and a true jewel of 19th-century Baroque architecture. After enjoying what is ‘Norway’s best breakfast’, you’ll have some further time at leisure in Trondheim, perhaps taking in the city’s wooden mansions, ancient island fortress or the 12th-century Archbishop’s Palace. You’ll then board the train north to Steinkjer. Hugging the shores of the mighty Trondheimsfjorden, it’s a perfectly scenic route, with views out over the glassy waters and on to the mountainous background. On arrival, you’ll pick up your hire car and make the short drive to Inderøy, a remote peninsula of rolling fields. 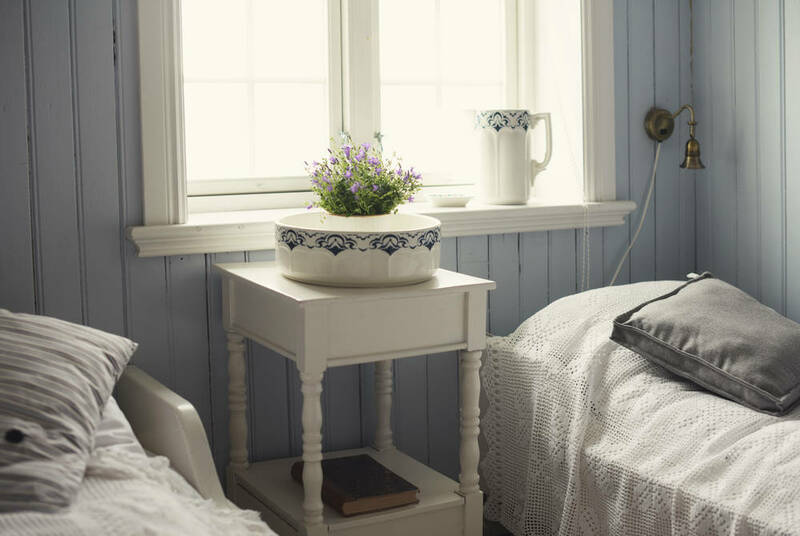 It’s rural Norway at its idyllic best, something showcased with your stay in a timber farmhouse of just nine bedrooms. Waking up to an authentic farmers’ breakfast, you’ll head out today to explore the Golden Road. Tracing pretty coastlines and plunging through bright-green farmlands it links a curated collection of local artisans. 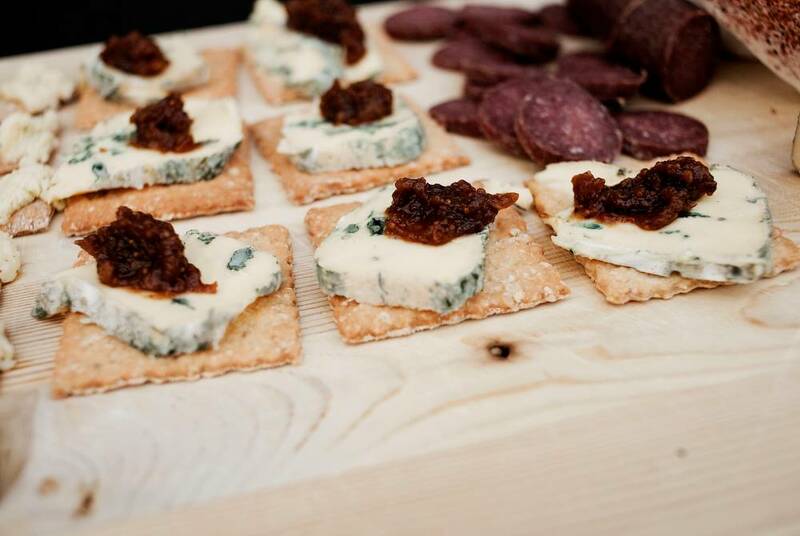 Highlights include sculpture workshops, craft breweries and award-winning dairy farms, with tasting tours showcasing everything from regional meats to the national drink – aquavit. 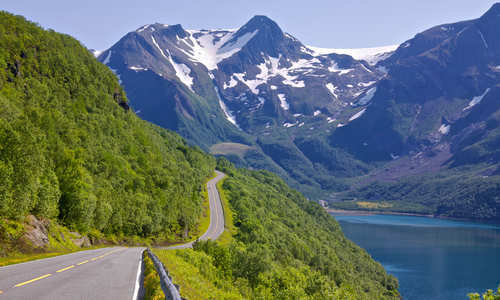 There are also fjord cruises and medieval churches to take in before you end back at your cosy accommodation. Today, following another hearty breakfast, you’ll drop your hire car back at Steinkjer to board the train north. Tracing the Vefsna River through the bright green of the Norwegian countryside you’ll arrive at Mosjøen. This small but lively town impresses with a beautifully preserved collection of 19th-century buildings, today given over to art galleries, coffee shops and restaurants. 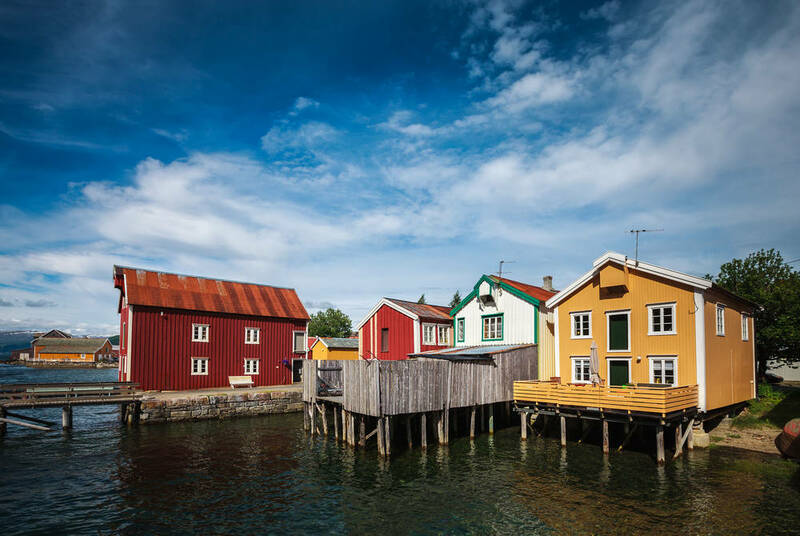 Then, if you head to its seafront, Mosjøen erupts into colourful stilted warehouses. You’ll also stay in Northern Norway’s oldest hotel, today resplendent in Scandi-chic rooms and a pair of indulgent restaurants where you’ll enjoy an included dinner. Your train ride today will see you hop over the Arctic Circle as you continue north. 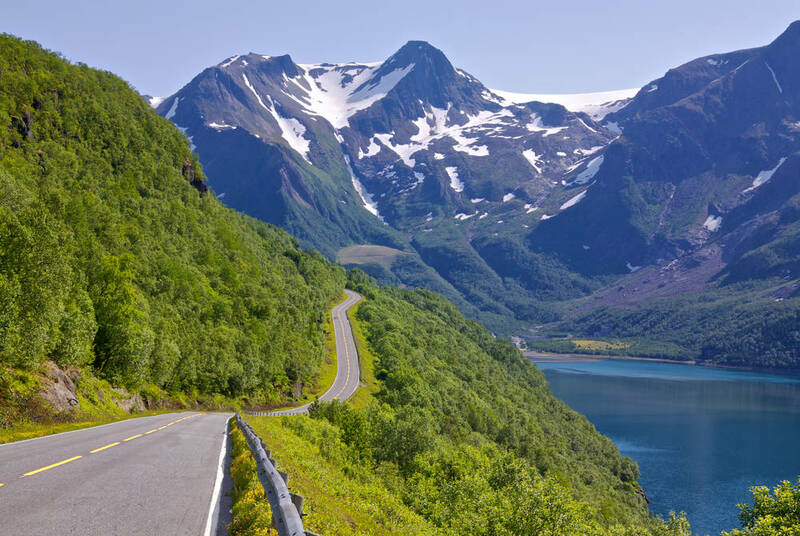 Weaving along valley floors and skirting Saltdalsfjorden’s great watery expanse, you’ll arrive back at the coast with Bodø – the northern terminus of Norway’s railway network. As such, it’s excellent for mountain hikes and cruises out to fishing spots and remote island communities. There’s even the world’s strongest tidal current – the Saltstraumen Maelstrom. You’ll spend the night here in the Scandic Havet; set right on the quayside, it features spectacular panoramas of the rugged islands. You’ll have plenty of time to explore Bodø further today; be sure to head out in search of the world’s largest population of white-tailed sea eagles. 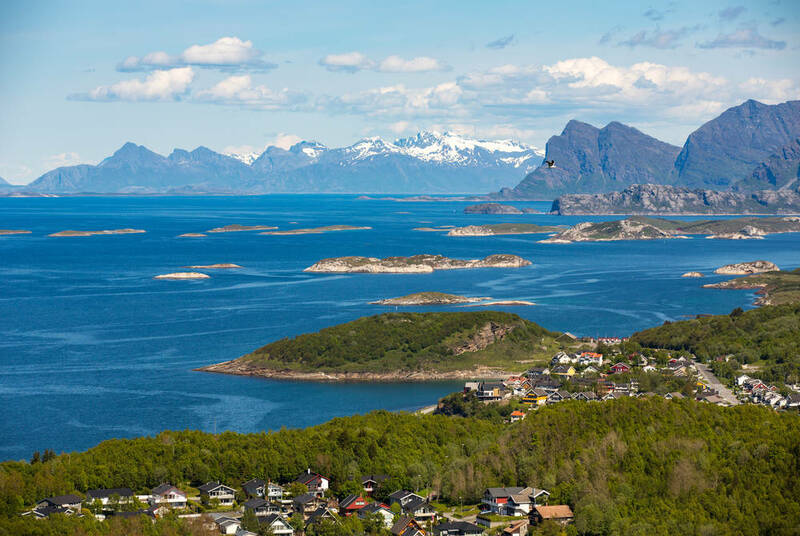 Then, come the afternoon, you’ll board a short flight over the channel to the Lofoten Islands and the pretty town of Svolvær, backdropped by giant mountains. It's the idyllic location for your charming accommodation – a timber fisherman’s cabin on the quayside. 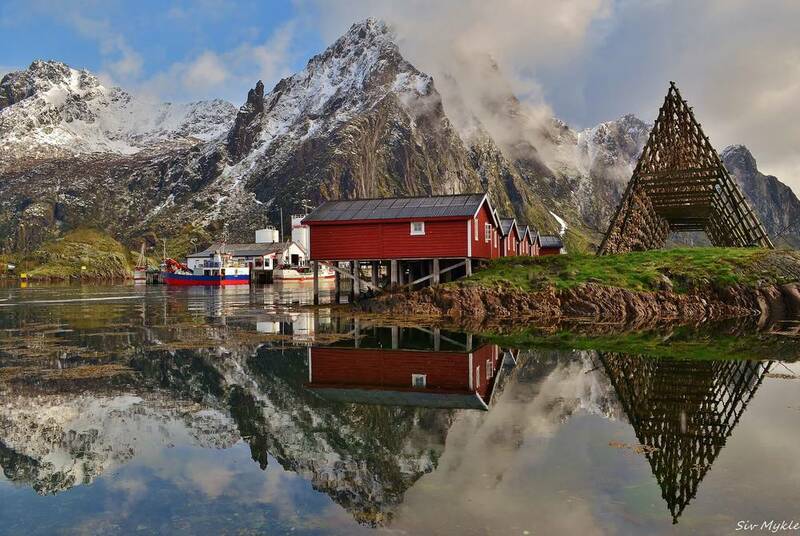 You’ll have today to explore the Lofoten Islands. Home to some of Norway’s most spectacular scenery, they rise as great green-dappled crags from the sea, reaching over a kilometre in height. It’s all the evocative setting for sweeping hikes, fishing expeditions and whale-watching cruises. You can also step back to the time of the Vikings with superb museums and even reconstructed longhouses. Don’t also miss out on the just-caught seafood, served up in fishing-village restaurants. Return to Bodø today and check into your hotel. You'll then have free time to explore the town and its island surrounds. Scenic strolls bring you among colourful houses and to views of distant peaks. This is also sea eagle country, so keep an eye on the sky for sightings of these elegant birds of prey.